Wall to wall carpet cleaning isn’t as easy as, you call a company, they show up, they clean your carpets and you pay them, and your carpets are dry in 1 hour and clean. Today’s carpet cleaning companies have all different methods, all different chemicals, all different types of equipment. This leaves you confused on what is the best method to choose. In 1989 I was confused on choosing the best method for my clients. I researched ,went to school for it and got certified as a master cleaner IICRC. I found that the good sounding names ,Low moisture, Dry chem.,Dry foam, Dry clean, Bonnet system, Dry Shampoo,Von Shrader, Chem. dry, Carbonated process ,Shampoo, Encapsulation. All have there place in the cleaning of carpeting under the correct situations. We use and all of these methods for different floor coverings. The advantage of these methods is there dry times. The only problem is the length of time your carpets stay clean, The chemicals stay in your carpets actually attracting dirt making your carpets dirtier faster actually making your carpeting what I call “dirt magnets “ because the sticky residue was never extracted from your carpet. These methods in our industry is commonly called “Tip Cleaning” cleaning only the top of the fibers. Most start up companies or companies that don’t want to certify there technicians choose and endorse these types of cleanings. Using fast dry times and “Don’t soak your Carpeting” as a way to scare you into thinking some one is going to flood your home while they clean your carpets. Some Vacuum companies show you false reports about how long it takes carpet to dry after the cleaning,endorsing “Dry compound cleaning”. 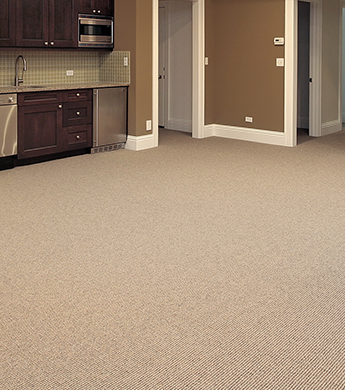 The fact is the only method carpet manufactures endorse, and warrantee is hot water extraction operated by a licensed certified technician or firm in the IICRC. The Carpet Solution uses this method for all our residential and Industrial clients for the past 23 years and is a certified firm using certified technicians that go through extensive training on all textiles and methods of carpet and rug cleaning. The Carpet solution uses Truck mounted hot water extraction or most commonly called “steam cleaning” with state of the art green seal products to leave your carpets clean, fresh with no chemical residues. When hot water extraction is used correctly soils are loosened, carpets are rinsed ,and carpets dry between 2 to 4 hours Leaving no residues behind to attract dirt. The carpet solution does a dry pass over your carpeting to ensure the quickest dry time,” recommended by the IICRC”. Portable units can achieve the same results but multiple extraction and dry passes must be performed because of its limited heat and suction. The problem with potable units is rinsing and correct PH is hard to achieve if the equipment isn’t properly maintained and de sowered. After 23 years of business The Carpet solution believes in facts . On the following link is a recommendation from Shaw industry the leading carpet manufacturer in the world and we copied the link from there web sight what they recommend and warranted. 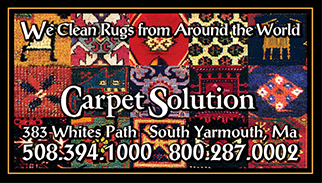 Thank you for considering the Carpet Solution for your carpet cleaning needs. We guarantee your satisfaction or your money back. It is that simple. Do not be fooled by start up companies or franchise companies advertising one low price and selling you up to a higher price. The value you get will always exceed the service you require. Carpet Solution guarantees it in writing for the past 23 years.